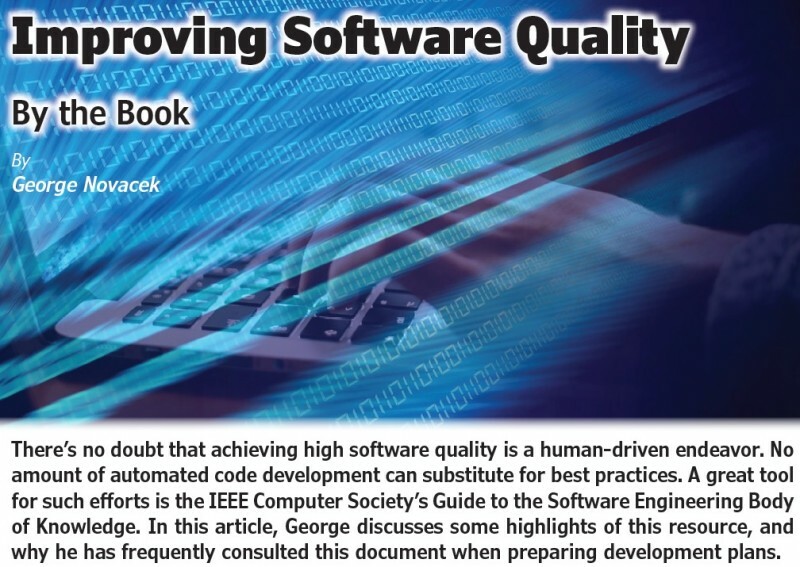 There’s no doubt that achieving high software quality is a human-driven endeavor. No amount of automated code development can substitute for best practices. A great tool for such efforts is the IEEE Computer Society’s Guide to the Software Engineering Body of Knowledge. In this article, George discusses some highlights of this resource, and why he has frequently consulted this document when preparing development plans. It has been demonstrated over and over again that software quality depends 100% on human activity. Nothing else. There is no wear out, aging or some other mechanism affecting software quality and performance. While many errors can be avoided by automating repetitive tasks, ultimately it is the lone, hard working software engineer who bears responsibility for the quality of the result. As systems grow ever more complex, the task of competent software engineering practice is getting harder and harder. Experts agree that the only method for bringing software quality under control lies in following strict design guidelines. There’s a vast body of knowledge of different topics a competent software engineer needs to grasp. In recognition of that the Institute of Electrical and Electronics Engineers’ (IEEE) Computer Society issued the Guide to the Software Engineering Body of Knowledge. The common abbreviation of the title is SWEBOK, now in version 3 (Figure 1). 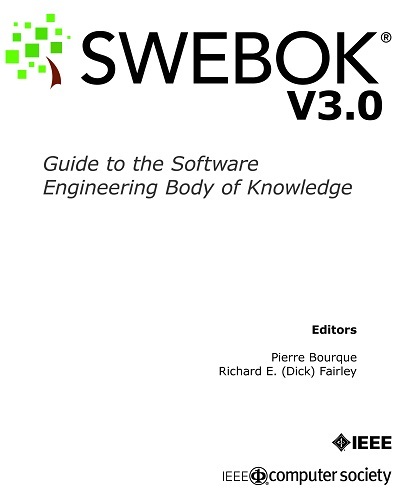 The SWEBOK is an exhaustive compilation of software engineering knowledge but it is not a cookbook. It identifies the multitude of topics software engineers are likely to encounter in the course of software development and points them in the right direction to find solutions. The document begins with top level characterization of the fundamental issues, then continues drilling down to more and more specific matters. Whether a professional software designer or a hobbyist, your familiarity with this document (available for free ) can only benefit you and your organization. The SWEBOK’s 355 pages limit me to just a top-level overview, but I cannot recommend any stronger that you download and familiarize yourself with it. Read the full article in the April 345 issue of Circuit Cellar.